It seems to happen every year without fail – we forget about organising something for Christmas, December inevitably rolls around, and we all start to panic. Don’t want to spend this holiday period grasping at straws for a Christmas party venue in Brisbane? Save yourself the hassle and secure your Christmas party spot now – we’ve got a few names to check, no matter what you have in mind. What better time to get fancy and feasting than Christmas time? 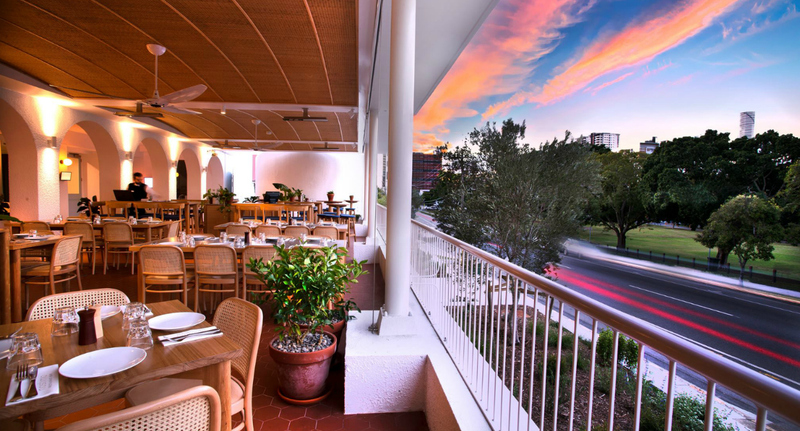 With stunning views of the Brown Snake, the Marriott Hotel has two Christmas catering packages on offer; a casual outdoor barbecue (but like, fancy barbecue) and a classic, three-course meal suited to lunch or dinner. With 10 different rooms available and space for up to 230 guests, the Marriott is a chic and prestigious venue to throw your special Chrissie celebration. Everyone knows that the best Christmas feasts are those eaten with family, and bringing all the warm and fuzzies to your next Chrissy party is Ristorante La Famiglia, whose saucy Italian banquets will make you feel right at home! Present yourself (and your friends!) with Famiglia’s daring swordfish carpaccio, and delve into their garganelli beef ragù or pork belly porchetta! Great for group dinners, those looking to book their festive workplace shindig can even hire out the whole restaurant! You need to book early though my darlings, so get to it! We feel like the 12 days of Christmas should definitely be pushed to at least 20, and where better to tee up some extra days than at Victoria Park Golf Complex? Whether you’re asking Santa for an intimate gathering in the Garden Marquee or an elaborate Grand Ballroom affair, this glam Christmas party venue has all of your needs sorted. The ball’s in your court! Christmas in Australia means relaxing in the sun – and you can do just that at a premier poolside venue while being waited on hand and foot at Rydges South Bank this year! Soleil Pool Bar staff will have you feeling right at home from just $40 per person, and you can even have a custom-made cocktail built especially for your event! Even more enticing? Complimentary free-flowing sparkling wine for the first 30 minutes of your event if you lock in a minimum spend – yes please! 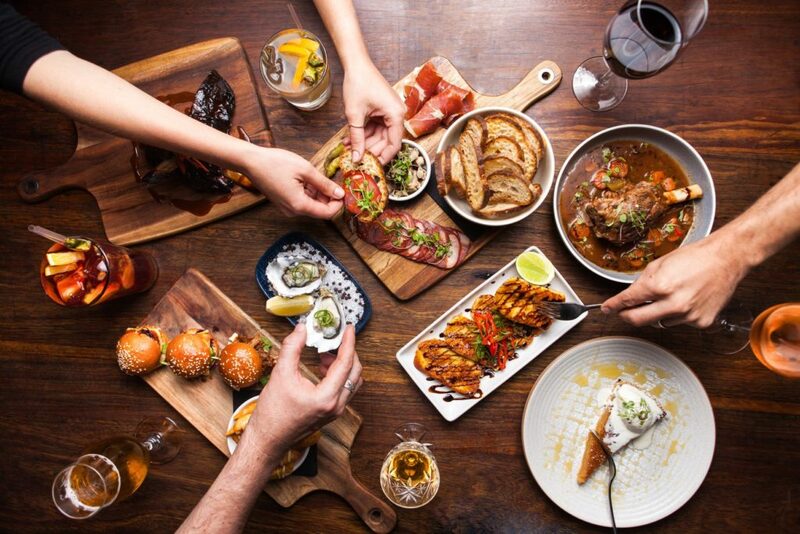 Food wise, you’ll be in heaven, with share plates and tapas to keep your guests well-fed. Bookings can be made here. If you’ve always wanted a warehouse party for your yuletide celebrations but abandoned the idea because you don’t live in Melbourne or Brooklyn, we have just the thing for you. The Bromley Room has been curated by renowned artist David Bromley, and is consequently, utterly gorgeous. 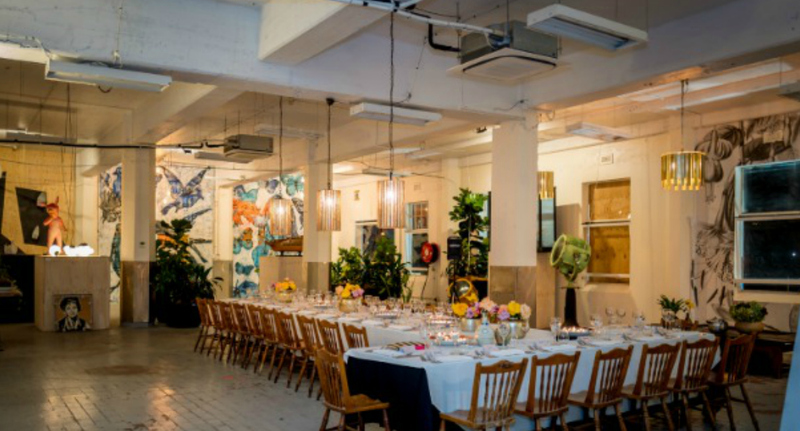 Located in the old Peter’s Ice Cream Factory on Boundary Street, this venue is perfect for anyone who wants to make an impact this silly season. It’s not going to be around Christmas next year, so to avoid FOMO, book in now! Nothing says Christmas in Queensland quite like the Regatta. Combine a heritage listed building with river views, a sumptuous food and beverage menu and that Christmas party vibe and you’ve got yourself set for a night to remember. With a number of private and public spaces the Regatta has a package to suit every need, whether your party is raucous or refined (or underground, hello Walrus Club!) – the Regatta will take care of you. To make a booking contact functions@regattahotel.com.au or call (07) 3871 9595. Go on, get around a big fat Greek Christmas. From authentic Greek buffets to cocktail celebrations and even a post dinner Zorba dancing workshop (now there’s the Christmas workout we need), The Greek Club knows how to put the spirit into your holiday. There are plenty of Christmas party spaces for your folks, cousins, nieces and best friends neighbours, including a plate smashingly gorgeous deck overlooking South Brisbane! Call (07) 3844 1166, and get him to the Greek. Three cheers for Christmas beers! Archive lives up to (and beyond) its name, with a tappable craft beer selection and hearty food that’s made for sharing. This characteristic West End veteran sports a lot of art and even more spaces to suit any style under the sun- and free pool! The ultimate Aussie Christmas with your mates awaits. Call (07) 3846 6680 to secure your spot. Yes, the restaurant seats up to 120. Yes, the private dining room seats 50. Yes, you can book all of Wilson Lane and make your laneway party dreams come true. And yes, you can play with your food before you eat it! While more traditional seated dinners or cocktail events are doable, why not go for a group pizza or pasta making class? With room for up to 30 students, and starting at $89 per guest, it’s the perfect way to get the team together and dig into some seriously good Italian food this Christmas time! Call 0402255713 to book the team in to become pasta masters. Catering for up to 100 guests, Yellowfin is the perfect place to enjoy a great meal with colleagues or friends this Christmas. On the food front, three varying catering packages will sort the menu for all budgets! Enjoy delights like garlic king prawns, barramundi with galette and broccolini, Japanese chicken, crab stacks, and T-bone steaks with truffled root vege – talk about variety! Add-ons such as live entertainment, a photo booth, and premium styling will help to elevate your event. No party would be complete without bevs, so choose your package wisely from options including $20, $30, and $40 per guest, per hour. Contact Yellowfin at Southbank@yellowfinrestaurant.com.au or call (07) 3129 9398 to book one of these flexible fishy packages! The Osbourne Hotel is opening their doors to your family and friends, so that you don’t have to (thank you Santa). The longstanding venue recently had a major facelift, creating a super modern, balmy and urban mix under one pumping roof. Once you’ve picked your space and your package, all you have to do is turn up, and get turnt! You can book by calling (07) 3252 9833. Whether you have six, 18 or 120 guests in your party, Little Social has got you covered in a big way! A simple meal with friends, a slightly larger platter arrangement, or hiring the whole venue out are all options. That being said, Little Social prides itself on being best suited to more casual, less formal affairs. Food and drinks-wise, share plates and canapés to graze on throughout the celebration will be plentiful and drinks packages can also be arranged to best suit your gathering. If you want little stress and big fun, give these guys a holla at info@littlesocial.com.au or 3369 9006, and let your Christmas function dreams come true! It’s safe to say that Christmas bookings will be racing out the door (ah yes, puns, our never-ending Christmas gift to you). With two racecourses and 52 event spaces available to accommodate parties of all sizes, and food and beverage packages to suit all budgets and requirements – they’re not horsing around when it comes to making your Xmas party a night to remember. Call (07) 3868 2410 for everything you need to make this happen! If you’re looking to go fancy for Christmas celebrations this year, Treasury Brisbane’s range of functions spaces and packages can make the silly season special for groups of 20-120. 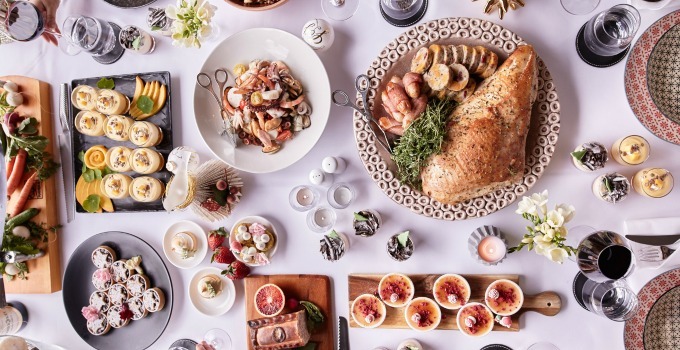 Options include the Christmas Cocktails package, a Christmas Feast as either a buffet or three-course plated meal, and a Cabinet Room lunch or dinner for groups up to 20. Don’t gamble on a venue for your Christmas function this year-call (07) 3306 8852 to make your party plans. With a stylish, open-plan design, Darling & Co is the perfect inner-city venue to host a cracker of a Christmas party. Catering to cocktail or seated events across five distinctly- styled spaces, Darling & Co is your perfect match for functions from intimate dinners to 700-strong soirées. Revamped Christmas classics are for lunch at Darling & Co, with a festive set menu featuring turkey terrine, Mooloolaba prawn linguini, and frozen Christmas pudding with candied fruit, white chocolate, and gingerbread- yes please, Darling! Call (07) 3051 7666 to book your Chrissie crew in. 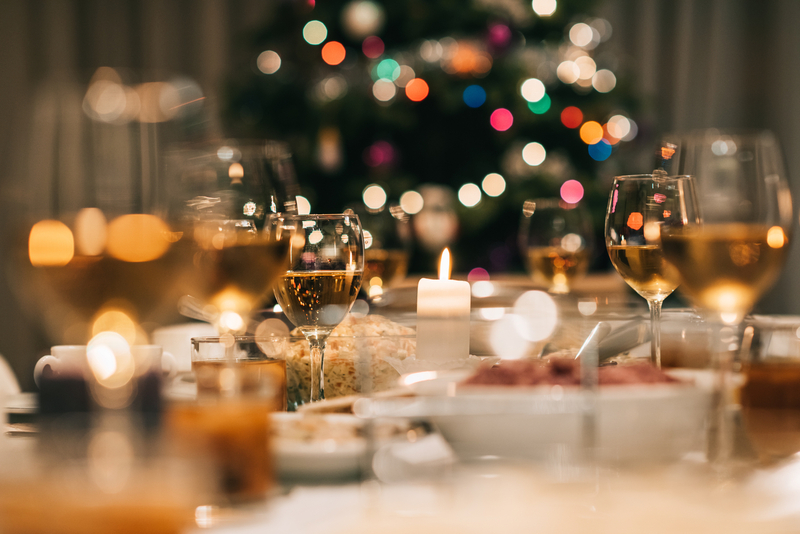 For more inspiration for your next Christmas party, check out our guide to the best function rooms Brisbane has to offer.